Get your hotel reservations in order, make sure you know when and where the shuttle or monorail times are, and that you know when the lectures will be that you are most interested in attending. Save a map of where your hotel is and where the convention center is on your phone, as well as any restaurants and recreational activities you might want to engage in. Make sure that your devices are all well charged before you leave your hotel in the mornings to avoid any mishaps. Bring clothes that can be layered, as Vegas is a desert and can get very chilly at night but extremely hot during the day. Have quick meals and snacks with you and in your hotel room, as you will often be too busy to eat out at a restaurant. Using your hotel coffee maker to make some quick canned soup, ramen, or oatmeal can save you a lot of time and money, but remember to bring a sponge and dish soap with you if you plan on doing this! Bring a reusable water bottle with you everywhere so that you can avoid becoming dehydrated. It’s a good idea to have a small bag that you can keep on you at all times, such as a fanny pack or a cross-shoulder bag. Even with our phones so easily at hand and with apps that take notes and add contacts, good old pen and paper is the way to go when there is so much to take in! Quick to-do lists and sketches can easily be made on paper. Taking lecture notes will be much simpler, and the act of physically writing things down will actually help you to remember the information better than typing it into a tablet! It might sound counterintuitive, but having a schedule will allow you to relax and enjoy yourself, helping you to absorb more and come away from the experience with fresh perspective and initiative. Make sure to pick up your badge as early as possible to avoid long lines. Then use your map of the event floor to create a plan of which lectures you will attend and which booths to go to first. Remember to include time for lunch, recreation, or even naps. It is best to start your days early, and to not overcrowd each day with activities. This event is not only a networking and learning opportunity, but is also meant to be fun! 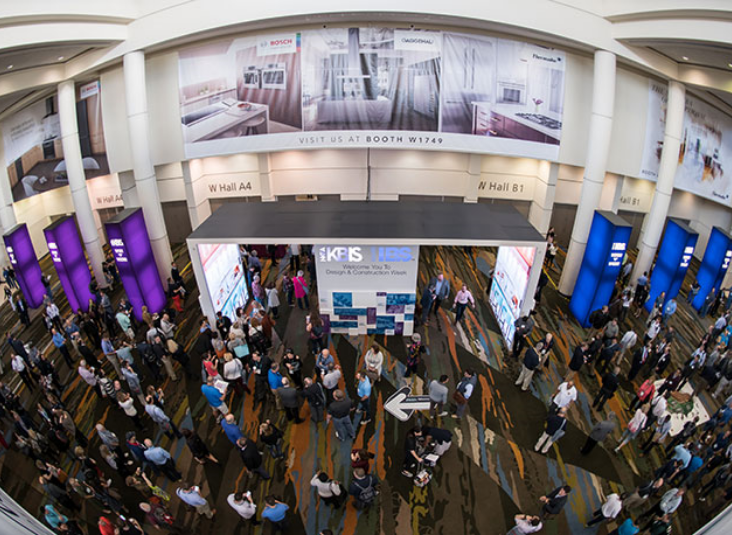 These simple tips can help you make the most of your time at KBIS 2019! KBIS begins February 19 at the Las Vegas Convention Center, come find MR Direct at booth N3226!